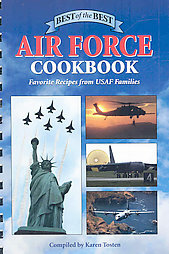 Quail Ridge Press in Brandon recently published their Best of the Best Air Force Cookbook, featuring favorite recipes from retired and active Air Force families. It also includes Air Force facts and trivia, military photos and illustrations, lyrics to the Air Force Song and the Ten Commandments for Military Wives. 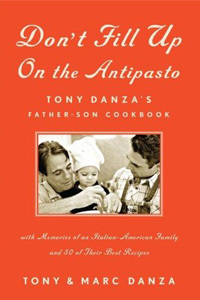 Don't Fill Up on the Antipasto is a father-son cookbook writteny by Tony and Marc Danza. They pass along 50 of the family's most impressive recipes. Danza says you've got to make the meatballs, at least. "Once you can make a meatball, you can make just about anything else," he tells Dee Weinberg of USA Weekend. And watch Tony and Marc cook together here. 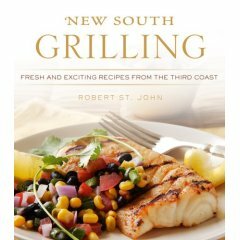 Hattiesburg restaurateur, chef and food columnist Robert St. John turns his attention to the backyard with his latest book, New South Grilling: Fresh and Exciting Recipes from the Third Coast. The recipes cover fish, fowl, pork, beef, and vegetables - along with marinades, sauces and side dishes. There will be a book signing at 5 p.m. on June 3 at Lemuria Books, for those who prefer signed editions. I found us a couple of recipes online to try: Mushroom-Swiss Burgers with Dijon-Horseradish Sauce and Smoked and Grilled Softshell Crabs. For almost 60 years, cheesecake lovers have made a pilgrimage to Junior's restaurant in Brooklyn. 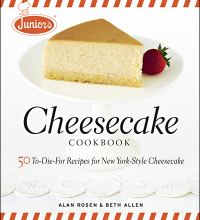 But now you can whip up the treats in your own kitchen with Junior's Cheesecake Cookbook. Alan Rosen, the grandson of Junior's founder, even reveals the very recipe that made the restaurant's reputation - the Original New York Cheesecake, unchanged since 1950. 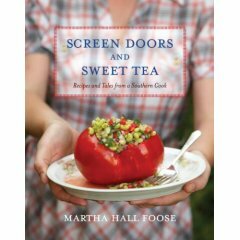 In her introduction to Screen Doors and Sweet Tea: Recipes and Tales from a Southern Cook, Martha Hall Foose says, "all in all, this book is about my home, and I know no better way to tell its stories than through food." Martha is executive chef of the Viking Cooking School. Born and raised in the Mississippi Delta, she attended the famed pastry school École Lenôtre in France. She returned to Mississippi and opened Bottletree Bakery in Oxford – and later, with her husband, Mockingbird Bakery in Greenwood. The Clarion-Ledger offers a few recipes from the cookbook here. 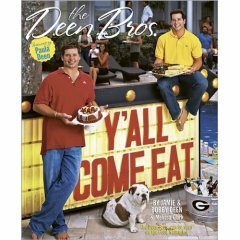 The Deen Brothers' new cookbook, Y'all Come Eat, is a compilation of their favorite recipes (many inspired by their mother, Paula). In addition to recipes and memories, the book offers many family stories, from their great-grandmother's garden to their favorite Christmas recipes from childhood. I'm running the air conditioner already, so I say it's officially sangria season now! 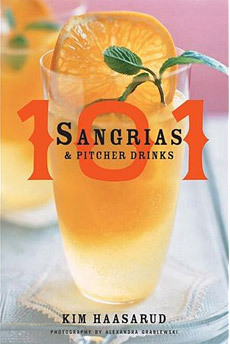 So try a few recipes from Kim Haasarud's 101 Sangrias & Pitcher Drinks by the pool this weekend - with my permission (if anyone asks). "Red wine is the standard," Kim writes, "but white wine and champagne can mix up a mean sangria." And she's included recipes from the classics (Spanish sangria and Singapore sangria) to the contemporary (watermelon yuzu punch and white peach sangria). I found a couple of the recipes online for us to try: Red pepper sangrita and Black Cherry Sangria. 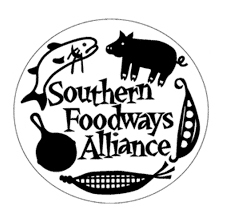 The Southern Foodways Alliance, based in Oxford, Miss., is working on a cookbook and is in search of a few good Southern recipes. They are still on the hunt for recipes in a few discrete categories. If you've got one, send it to them at mgbhall@olemiss.edu. And, they don't just want the recipe - they want to know how long you've used it, how long the person before you used it, and so on. They can't promise to include it in the final volume, but, if they do, they'll attribute it properly! They still need recipes for frog legs, turtle/cooter, field peas, fried apples, poke, ambrosia, curried fruit, pawpaws, mayhaw jelly, simple dirty rice, homemade root beer, cafe brulot, lemonade, Creole Cream Cheese, divinity, mints, strawberry shortcake, and cheese straws. Please don't send recipes for other dishes. If it's not on this list, they've got it covered! "In the South, the first thing most of us say when we are invited to dinner is 'What can I bring?''' said Anne Byrne (also known as The Cake Mix Doctor). 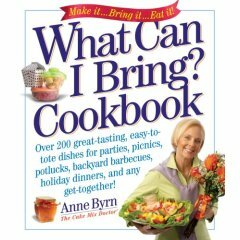 Byrne's new What Can I Bring? Cookbook features more than 200 easy-to-tote dishes for any get-together. There are finger foods, canapes, and "trios"—Trio of Marinated Goat Cheese, Asian Summer Rolls with a Trio of Sauces, Trio of Pastry-Wrapped Camemberts. 25 surprising salads: White Corn Salad with Fresh Thyme, Asparagus and Grilled Peppers with Asian Soy Dressing. Main dishes for a party, from Southern-Style Pulled Pork to Creamy White Bean and Spinach Lasagne. Desserts (of course, 25 of them), and a full chapter of loaves and other gifts from the kitchen, including Chocolate Sour Cherry Bread and Sun-Cooked Peach Preserves. Each recipe comes with Tote Notes (how best to transport the dish), Big Batch (how to multiply the dish), and When You Arrive (how to put the finishing touches on the dish). Plus there are "Grab & Gos"—super-quick recipes—for each section, etiquette tips for working in someone else's kitchen, and a "Notes" area for each recipe, to jot down tips and log in when you made the dish and for what occasion, so you don't repeat yourself.